This is just a quick post, listing my reading lists for this Fall. I’m starting my Ph.D. program and these are the texts that my classes will be reading/discussing. If anyone sees something interesting here (what’s NOT interesting on this list, I must ask? ), maybe you could read along with me? I’ll try to post thoughts and reviews on these as I go along – since it will help me gather thoughts for essays and research papers. There are quite a few books that will be re-reads for me, but I look forward to revisiting them all (I list these at the bottom of this post). I must say – I am actually really, really excited about my classes for the Fall, now. These text selections are outstanding! All descriptions are taken from Amazon.com, unless otherwise specified. “A meditation on memory and loss. Sebald re-creates the lives of four exiles–five if you include his oblique self-portrait–through their own accounts, others’ recollections, and pictures and found objects. But he brings these men before our eyes only to make them fade away, “longing for extinction.” Two were eventual suicides, another died in an asylum, the fourth still lived under a “poisonous canopy” more than 40 years after his parents’ death in Nazi Germany. “Pride and Prejudice is a novel by Jane Austen, first published in 1813. The story follows the main character Elizabeth Bennet as she deals with issues of manners, upbringing, morality, education, and marriage in the society of the landed gentry of early 19th-century England. Elizabeth is the second of five daughters of a country gentleman living near the fictional town of Meryton in Hertfordshire, near London. “Pearl Tull is nearing the end of her life but not of her memory. It was a Sunday night in 1944 when her husband left the little row house on Baltimore’s Calvert Street, abandoning Pearl to raise their three children alone: Jenny, high-spirited and determined, nurturing to strangers but distant to those she loves; the older son, Cody, a wild and incorrigible youth possessed by the lure of power and money; and sweet, clumsy Ezra, Pearl’s favorite, who never stops yearning for the perfect family that could never be his own. “From Modernist/Postmodernist perspective, leading critics Richard Ruland (American) and Malcolm Bradbury (British) address questions of literary and cultural nationalism. They demonstrate that since the seventeenth century, American writing has reflected the political and historical climate of its time and helped define America’s cultural and social parameters. Above all, they argue that American literature has always been essentially “modern,” illustrating this with a broad range of texts: from Poe and Melville to Fitzgerald and Pound, to Wallace Stevens, Gwendolyn Brooks, and Thomas Pynchon. “The Grapes of Wrath is an American realist novel written by John Steinbeck and published in 1939. For it he won the annual National Book Award andPulitzer Prize for novels and it was cited prominently when he won the Nobel Prize in 1962. “The Great Gatsby is a novel by American author F. Scott Fitzgerald. The book was first published in 1925, and it has been republished in 1945 and 1953. There are two settings for the novel: on Long Island’s North Shore, and in New York City. The book is set in 1922 from the spring to the autumn. The Great Gatsby takes place during a prosperous time in American History. In 1922, America has fully recovered from the First World War, and is enjoying prosperity during the Roaring Twenties, when the economy soared and emotions ran high. Yet, at the same time, Prohibition, the ban on the sale and manufacture of alcohol as mandated by the Eighteenth Amendment, was gaining traction. “Seize the Day, first published in 1956, is considered (by, for example, prominent critic James Wood) one of the great works of 20th century literature.Seize the Day was Saul Bellow’s fourth novel (or perhaps novella, given its short length). It was written in the 1950s, a formative period in the creation of the middle class in the United States. “For Griffin, all paths, all memories, converge at Cape Cod. 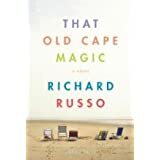 The Cape is where he took his childhood summer vacations, where he and his wife, Joy, honeymooned, where they decided he’d leave his LA screenwriting job to become a college professor, and where they celebrated the marriage of their daughter Laura’s best friend. But when their beloved Laura’s wedding takes place a year later, Griffin is caught between chauffeuring his mother’s and father’s ashes in two urns and contending with Joy and her large, unruly family. Both he and she have also brought dates along. How in the world could this have happened? So, there we have it – my reading list for Fall. I’ll be reading all of these titles between August and December, 2012. It is A LOT of reading, but I’m looking forward to it (even though my personal reading will probably suffer). Have you read The Good Soldier before? I was not a fan when I read it. It has some good points, but I didn’t like it overall. I know many people that love it though (That’s a lie, I don’t know “many” people who’ve read it, but of those I know who have, a good percentage liked it). Interesting reading list! Nope – I haven’t read that one, yet. It looks interesting – I’m really excited about this reading list (well, lists – since these books are for two classes). 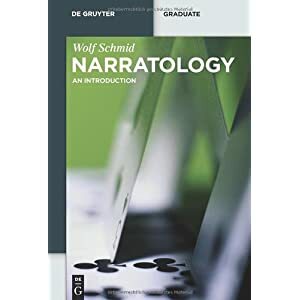 I’m glad to revisit some of these books again, and really excited to dive into more theory and study Narratology more closely. I own a copy of The Good Soldier! I had such a good time reading it & discussing it in my Brit Lit course, during my Undergrad program. I’m excited to revisit it at the graduate level, as it never came up during my Master’s degree program. What an interesting and diverse list. I’d love to know which classes you’re taking, because some of those titles are unexpected, like the Paule Marshall novel. Which, oddly enough, I read because it was set on a small Caribbean island–either Bequia or Carriacou, I can’t recall which because I visited both islands on one vacation and I read one book set in each place. I look forward to reading along with you on some of those. I’m taking a Lit Crit & Theory course on Narratology called “The Interpretation of Literary Texts” (from the top through Transparent Minds) and a 20th C. American Fiction course (Homesick Restaurant down). Quite an interesting list of books. I’ve not heard of some of them (referring to the novels), but it’s interesting to learn more about them. Enjoy! Great list! I have That Old Cape Magic and the Grapes of Wrath on my list and would love to read along with someone if you’re reading them this fall. Also, I’ve only read Pride and Prejudice once, and I did not like it (ducks from inevitable flying object). I’d be in for a re-read along with someone who could maybe help me figure out what I missed the first time through. Let me know what you think! The Grapes of Wrath is one of my favorite books of all-time! I didn’t like Pride & Prejudice on my first attempt either, actually, but I loved it the second time around… hope to enjoy it even more on round 3! I’d truly like to read The Good Soldier by Ford. Whether I can read-along with you depends on my school schedule this fall. I’d like to read Sister Carrie by Dreiser too, but know I won’t have time for that. Oh, I LOVED Sister Carrie – I read it for an American Realism course I took in grad school; it was one of my favorite books of the semester. What an interesting list. I am glad to know it is for two classes – otherwise it seems overwhelming. I do hope that you can post on both the books you read and some of what you learn in class. It would be interesting to follow along with you but I understand time constraints. Well you know I LOVE Jane Austen so anytime you read Pride and Prejudice is a great time to read Austen. I really should participate in Austen in August, but I’m trying to finish a couple other tales. I’ll still try. Mansfield Park is the next title on my list. Excited to see you’re reading The Great Gatsby! I love F. Scott Fitzgerald too. The Emmigrants sounds amazing too. If you’re looking for another great history read, and you want something a little spicier, I totally recommend you check out NYTBS author Karen Abbott. She’s at my blog today and has been nothing but a joy to work with. I’m trying to get as many people as possible to know about her. She write historical nonfiction, but it’s about these amazing, innovative, opinionated women of the times. If you get a chance, check it out! Plus she’s offering a book giveaway, so I’m telling all the book bloggers I follow about her offer. Enjoy! Wow, that’s quite a reading list! I just checked The Good Soldier out from the library yesterday! I probably won’t have time to read it for awhile, so I’d be happy to turn it in and try again when you’re reading it. I also have a pile of Cather to read on the TBR shelf, including A Lost Lady. I’ll read along! And of course Grapes of Wrath and P&P are just wonderful. I’m trying to muddle through Tortilla Flat by Steinbeck right now and am not into it. I also want to read East of Eden which I’ve heard is wonderful. East of Eden is BRILLIANT. It’s in my TOP 5 favorite books, for sure. I also loved A Lost Lady – it’s just a beautiful, genius work… not an edge-of-your-seat kind of read, by any means, but still breathtaking in its way. Can I come and sit in your classes with you? I haven’t read Grapes of Wrath, Cuckoo’s Nest, and Sister Carrie-and all are on my 250 list. I think I shall read them with you! 🙂 And, I need to add, those books on theory also look really exciting. And just let me know when you’re going to be reading them so I can try to join in! I am so excited for you on this new stage in your life. It’s great to see the reading list and I particularly like Play It As It Lays. I like picking up books as I’m browsing and just seeing how they read from the first sentence. This one just flowed and it has been on my reading list for ages. Looking forward to reading along when you get to it. Wow, you’re going to have a great semester if this list is any indication. I read The Good Soldier as an undergraduate as really enjoyed it. I was admittedly quite frustrated with it at first — the narrator is just so blatantly sexist. Finally it struck me that his perception was quite skewed and not at all impartial. I hope you enjoy it. I’m looking forward to reading your thoughts on it. Great things to keep in mind, thanks! I’m excited to finally be reading F. Madox Ford and DeLillo, especially.. I know I should have read them long before now, but there’s always so much to choose from! What an interesting reading list! I’m a big fan of Richard Russo, though this particular book didn’t click for me. I’d highly recommend Empire Falls. I’m a little bit jealous. I love White Noise. It is my all time favorite and it is lots of fun to teach too. I hope you like it. Congratulations on starting your PhD. This reading list is not nearly as dry as I would have guessed. I have to read The Great Gatsby again before the movie is released. I would also like to read The Grapes of Wrath, The Good Soldier and White Noise. I already read Pride and Prejudice a few times, but am always willing to revisit it. Three of these are on my list to be read. I don’t know if I will get to them this fall buth seeing your list makes me anxious to get to them. That is a wonderful list. I can see lots of books there that you love. The Grapes of Wrath, oh, wonderful! Have a great start to your PhD with these books! P.S. I've been delayed in ordering your book, but I WILL be ordering it from TBD in the next couple weeks (I set a reminder to myself for next payday! Lol). Adam, I have just come back from holiday, from a long trip and am still a little tired… I cannot remember that I am due a book from you. My spreadsheet (where everything is organised) also doesn’t help. I have a vague idea that maybe (maybe!) you were going to send me a Steinbeck or similar, but? Remind me! No, no – not a specific giveaway win. I’m sending you a copy of Under the Poppy! Of course you are! How could I forget? And I was looking forward to it as well. It must be that holiday that wiped half my brain. Even if I forgot, I do appreciate it enormously! !